Senator Grace Poe keynotes Globe Telecom’s AttyATBP, an annual event organized by the company’s Corporate and Legal Services Group (CLSG) where various government services from the Land Transportation Office, Philippine Statistics Office, Social Security System, National Bureau of Investigation, as well as free legal consultations, are provided to employees of the leading telecommunications provider. In her keynote address, Poe emphasized the need to fast-track infrastructure permitting as a key to sustainable economic development in the country. She is joined in above photo by top company executives and employees that included Globe President & CEO Ernest Cu, Globe General Counsel Atty. 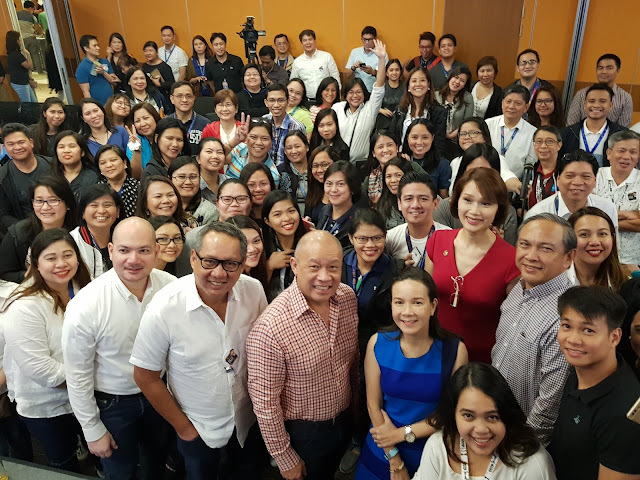 Froilan Castelo, Globe Chief Information and Technology Officer Gil Genio and Rep. Geraldine Roman, (1st District, Bataan), who also spoke at the event.